One Momma, several loves: My God, my husband, my kids and my yarn! I recently received a custom order for four hats from a nice lady I used to work with. 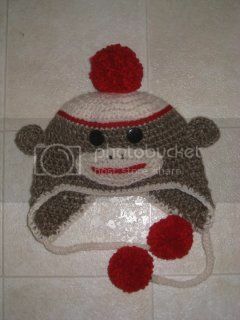 She is having a baby boy and wanted some hats made for him and also a hat for his big sister too. 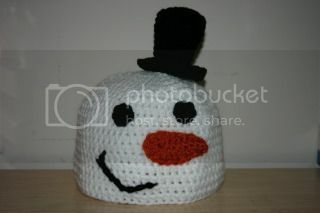 Here is a peek at the delicious yarn I am using to make his hat and the work that has been done so far. This entry was posted in WIP and tagged baby, big, blue, boy, brother, fashion, fun, hat, knit, knitting, little, mommy, newborn, quality, quick, short, sister, warm, Wednesday, winter, wip on December 5, 2012 by littlebirddesignsfxbg. With the holidays fast approaching, I will be continuing to bring you the best pins of the week. For the most part the pins I will be sharing with you are quick items you can make for your friends and family in time for Christmas. Here are the pins of the week. 1. Honeycomb Tweed Stitch While this is not specifically a project, you can easily make a scarf quick with this nice stitch. 3. Ewok Hoodie Scarf A great present for the Star Wars fans in your life. 4. Beautiful Short Row Cowl If you have never done short rows, cowls are a great place to start. Its fun and interesting! 6. Crochet Chain Scarf Not a pattern, but definitely quick and easy. 7. Loop Lace Scarf Delicate and old fashioned-ish, a great gift for grandma! 9. Cool Wool Hat Awesome looking hat, it has definitely been added to my queue. 10. Ultimate Mitten Thumb Not a pattern for mittens, but so helpful for when you are making or designing mittens. 11. Gumdrop Hat Simple Slouch Hat pattern. 12. Felicity Hat Another slouch hat pattern, however this one has an interesting way of decreasing at the crown. 13. 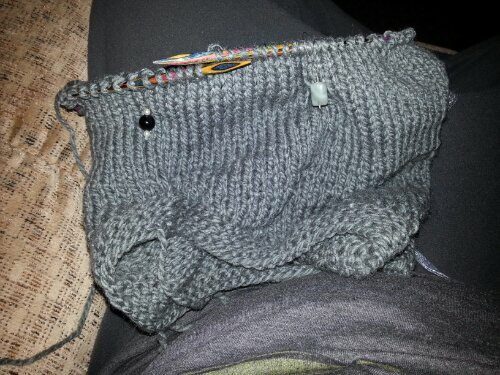 Fiona Button Scarf Using a bulky or super bulky weight yarn this project works up extra fast! Hope you have a fantastic week and I will see you on Wednesday for WIP Wednesday. Have you made anything for your family for Christmas this year? If so, please share! I’d love to see! This entry was posted in Pinterest and tagged braided, bulky, button, christmas, clothing, cool, cowl, crochet, ear warmer, fashion, felicity hat, gumdrop, hat, headband, honeycomb, knit, lace scarf, learning, mittens, mitts, pattern, presents, scarf, short row, slouch, slouch hat, stitch, style, super, tam, tweed, weight, wool, wristers, yarn on December 2, 2012 by littlebirddesignsfxbg. Hello dear friends. Hope this Wednesday was kind to you. It was a crazy day here. Husband had toe surgery and he’s dealing with the pain from that. I’ve been working on a hat for myself recently. 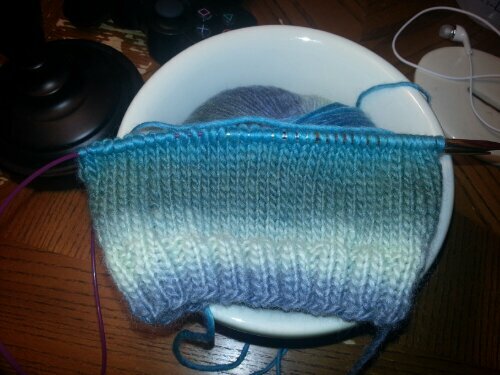 I made a hat for Husband a few months ago and I loved the pattern so when I found this gorgeous blue yarn at Joann’s. It’s called Stitch. Rock. Love. 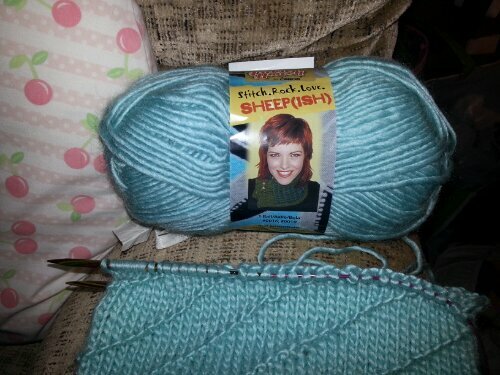 Sheep(ish) Yarn. It’s robins egg blue. It’s lovely and has a nice sheen to it. 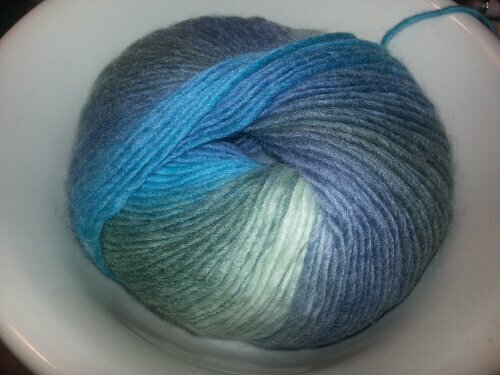 Being single ply, there are variances in the thickness of the yarn but not enough to distract from the pattern. The pictures do not do the color justice. You would really have to see it I person but believe me, it is fantastic! Are you working on anything new or special? Do share! This entry was posted in WIP and tagged blue, Caron, circular, fashion, fun, hat, knit, knitpicks, knitting, needles, pattern, quality, short, warm, Wednesday, winter, wip, yarn on November 21, 2012 by littlebirddesignsfxbg. Hello everyone! Hope this past week was good to you. I don’t know about you but I am so thankful the election is over! Too much hating and ads everywhere for me. But I digress. You are here to see the newest WIP! And…. Here it is! 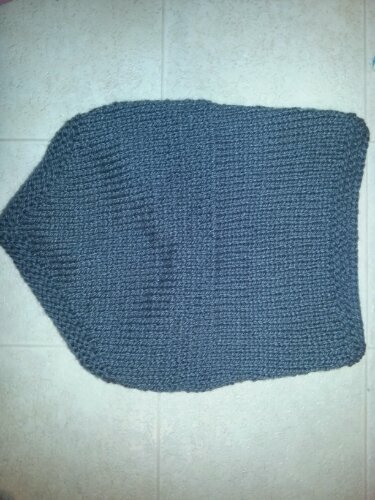 This is a Bandana Cowl. You can find the pattern here. 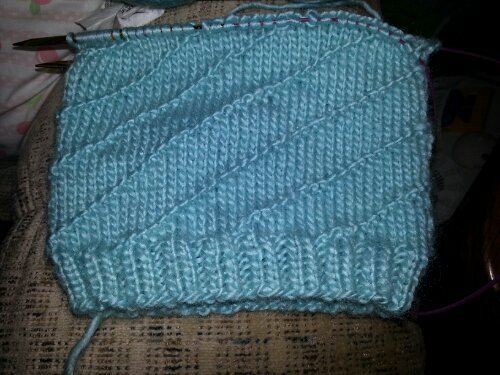 It’s a really cool pattern incorporating some new elements of knitting for me like wrap and turn for short rows. I really like the way it is constructed. This is one WIP post where you get to see the finished project too. 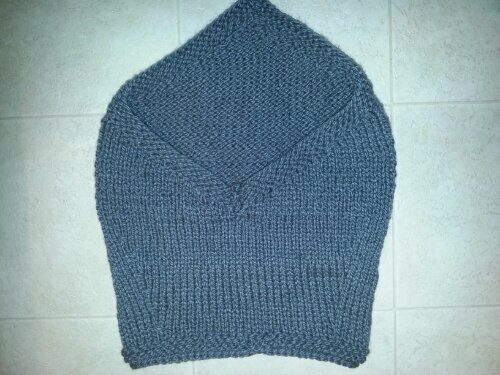 I actually finished the cowl late last night! Try it out. You won’t be disappointed! 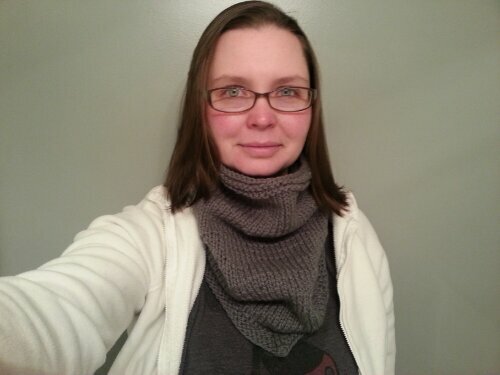 This entry was posted in WIP and tagged bandana, bulky, complete, cowl, easy, fashion, finish, fun, gray, knit, knitting, purl, purlbee, quick, short rows, Thursday, warm, Wednesday, winter, wip, wrap, yarn on November 8, 2012 by littlebirddesignsfxbg. Hi Gang! Over the next few weeks I am going to be doing Pintastic Friday focused on quick and easy projects for the holiday rush. Here are a few of my favorites from this week. This entry was posted in Pinterest and tagged christmas, crafts, crochet, DIY, easy, fashion, fast, gift, holiday, home, knit, make, present, puff stitch, quick, simple, style, wine tote, yarn on November 2, 2012 by littlebirddesignsfxbg.